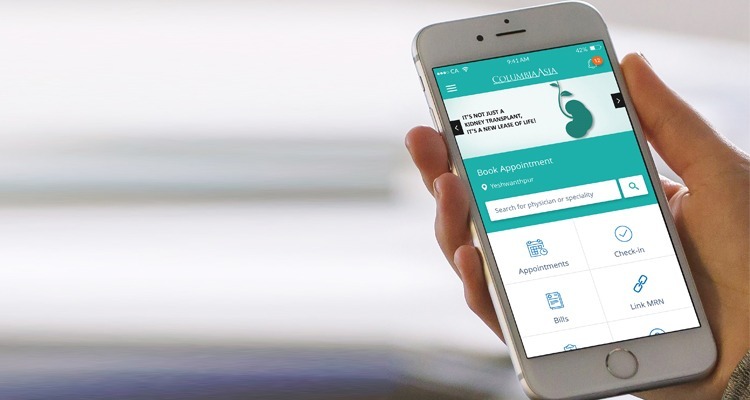 MphRx announced that Columbia Asia Hospitals, a chain of 28 hospitals across India, Malaysia, Indonesia and Vietnam, has launched their patient engagement application suite, with patient-facing applications available on web, Android and Apple devices. Powered by MphRx’s FHIR based digital health platform – Minerva, the integrated patient engagement applications provide an aggregated view of patient’s health data across the network’s hospitals and enables online booking of health care services and physician appointments. “Minerva’s industry standards open platform approach enabled us to execute our digital patient engagement strategy,” says Deen Sulbigar Ali Ahamed, Group Head of IT, Columbia Asia Group of Hospitals. “Minerva is a unified platform that allows patients to book and manage appointments through any channel of their choice whether it’s website, mobile app or even by making a call to customer care. Patients can avoid hospital queues by registering online and paying for consultation and services through the app. Further, patients get notified when their reports are ready and they can easily view the lab results and download reports from anywhere. We are excited to roll out this solution, and look forward to giving our patients a simplified and seamless experience”.